Optimum offers a comprehensive range of world class lubricants supported by high quality and professional technical services. 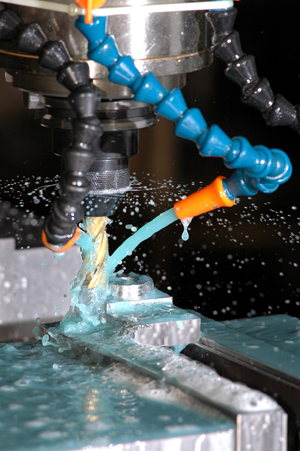 Optimum supplies our customers with the full range of metal working fluids including cutting, grinding, deformation, cleaning and preserving applications. Our product portfolio also covers the lubricant needs for your process equipment such as Hydraulic, Spindle, Slideway and Gear Drives whether they are oil, grease or compound based. Optimum also provide the full spectrum of services to our customers from technical product support to on site fluid management programmes. Regardless of your need, our aim is to deliver an ‘added value’ service. We appreciate that equipment availability, productivity and quality is top of our customer’s agenda in a safe work place. Optimum’s portfolio of Quaker corrosion preventives covers a comprehensive range of environmentally friendly products designed for short, medium and long term corrosion prevention. Depending on the application and process requirements, the product can be either solvent based, neat, thixotropic or water based. Optimum’s range of high performance Quaker & Henkel cleaners (ranging from Solvent & Neutral to Acid & Alkaline cleaners) covers all your inter-operational and final wash requirements. Chain Oils: from Saws to Paint Spray Booths applications. Circulatory and Spindle Oils: for light duty spur gears to high speed bearings. Compressor Oils: from reciprocating to high performance screw compressors. High Performance Lubricants including: oils, greases and compounds of varying bases and additive treatments. These are suitable for those really exacting conditions where conventional lubricants may degenerate. 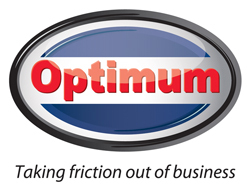 If you require extended serviceability from your oils and greases and full protection for your equipment, then Optimum will always offer a cost effective solution. Hydraulic Oils: for conventional pump systems to high temperature and wet applications. Insulating Oils: providing both new and reconditioned stock for transformer and electrical switchgear applications. Food Grade Oils and Greases: advanced lubricants formulated to meet the tough demands of food and beverage processing applications and fully conforming to food grade standard FDA H1. Gear Oils: for enclosed and open gears including suitability for high running temperatures. Slideway Oils: and guides from centralised lubrication systems on CNC to die cast machines.